On November 30 from 2-3:30 pm, Neighbor Ride is hosting the Howard County Fire Department's program on fire and fall prevention. The free program will be held in the training room at the new Non Profit Collaborative of Howard County located at 9770 Patuxent Woods Drive, Columbia MD 21046. HCDFRS has implemented the “Remembering When” program to bring fire and fall safety education to reduce the risk of harm due to a fire or fall. Call or email Holly or Patrice to register. Families and friends are welcome. For more information click here. 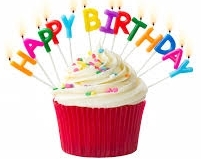 HAPPY 13TH BIRTHDAY NEIGHBOR RIDE! 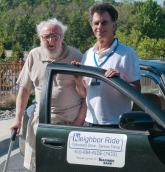 Since November 17, 2004 we have provided 142,464 rides to Howard County Seniors! One inter-esting fact is that there have been 28,861 unique connections between Volunteers and Seniors. 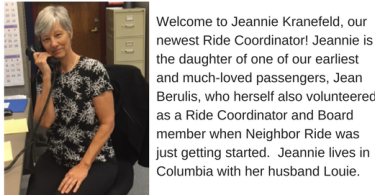 The most prolific pairing between one Volunteer and one Senior was 375 rides! "Thank you for your service for the last nine years. Your drivers are so special, interesting and caring. always a pleasant ride for me." "They provide me with the ability to function in my otherwise limited life." adjusted effective January 1, 2018.